Pre-coated steels offer great benefits in the manufacturing process. They shorten the process time from raw material to finished product and their pleasing aesthetic appearance enhances the final product to provide added value. 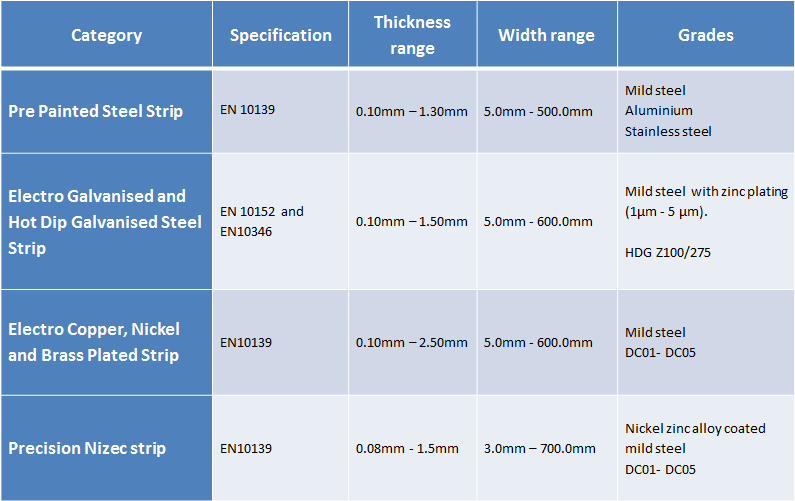 We offer a range of metallic electro-plated steels that are often used as a cost effective substitute for the corresponding non-ferrous metal and organically coated steels in an almost infinite variety of colours and finishes. We can accommodate requirements from a tonne to tens of tonnes painted and plated strips.